The micro, small and medium enterprises (MSME) employ more than 80 million people in India and contribute to around 40% of total exports and 37% of total GDP. The micro, small and medium enterprises (MSME) employ more than 80 million people in India and contribute to around 40% of total exports and 37% of total GDP. Yet it is not easy for most of them to thrive owing to lack of funds, obsolete technology and poor production capacity. It is, therefore, not surprising that Indian small enterprises are unable to withstand global competition. Small enterprises are known to support the vitality of markets by complementing large-scale industries, provide a large number of low-cost jobs (especially for low- or medium-skilled workers), create wealth by contributing appropriately to the GDP, and go on to become large enterprises in the future. With India needing to do significantly better in all these areas, it is imperative to build competitiveness in this sector. 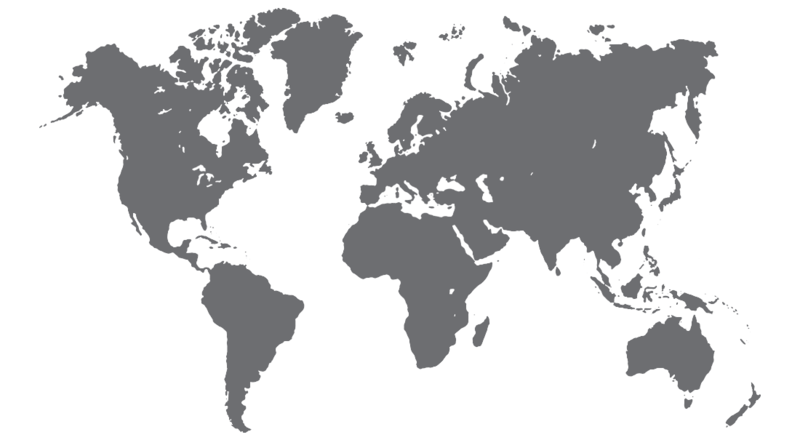 Countries that have competitive small industries witness a high degree of innovation. For example, the US has had 50% of all innovations and 94% of all radical innovations—since the Second World War—coming from new and small firms. The number of patent applications, another indicator for innovation, validates this theory further. Small enterprises in China, which due to their low product prices have worried Indian MSMEs, file 80% of intellectual property applications in China, as compared to a mere 15% by Indian small enterprises in India. Studies reveal that small enterprises which achieve better innovation performance also achieve better economic performance in the form of higher growth in sales turnover. The Global Innovation Index (GII) placed India at the 66th spot globally in 2016, and it can be safely assumed that building innovative capacities of small enterprises will go a long way in enabling India to leverage the full potential of its industries. Conducive policies play a significant role in improving innovation and hence competitiveness of small enterprises. The government’s Scheme of Fund for Regeneration of Traditional Industries (SFURTI) plans to set up 800 clusters of traditional industries with an outlay of Rs 850 crore while laying provisions for soft interventions like building capacity for innovation. A Scheme for Promotion of Innovation, Rural Industry & Entrepreneurship (ASPIRE) initiated in March 2015 plans to set up a network of technology and incubation centres in order to promote innovation and entrepreneurship with a fund of Rs 200 crore. The Prime Minister’s Bank Loan Scheme under the Micro Units Development and Refinance Agency (MUDRA) is providing much-needed capital to small enterprises to innovate and expand. However, despite all these efforts, India’s spending on R&D continues to remain below 1% of its GDP. This is meagre compared to R&D expenditure of 2-3% by countries such as the US and China. The fallout of this low spending eventually trickles down to lack of innovation and competitiveness in Indian small enterprises. 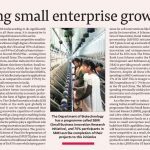 An effective way to induce innovation among Indian small businesses is to adopt a programme like the Small Business Innovation and Research (SBIR), popular in the US and a few other countries. Under SBIR, governments disburse funds on a competitive basis to small enterprises and help them build their R&D capabilities. Improving R&D will boost innovation and make enterprises more competitive. As a result, they will generate higher employment and will be more productive with improved products and services. In fact, SBIR in the US has helped small businesses secure over 67,000 patents since its inception. Apple, Chiron, Compaq and Intel have been the early beneficiaries of SBIR. The programme is known to have similar effects in other countries. In the Netherlands, the success of a similar programme spurred a seven-fold growth of the programme in a four-year period. In Korea, it has led to an increase in the proportion of SMEs investing in R&D from 12% to 31% in 12 years. In the UK, the programme witnessed 30% average annual sales growth, resulting in 10% higher job creation and leading to a five-fold expansion of the programme in 2013. 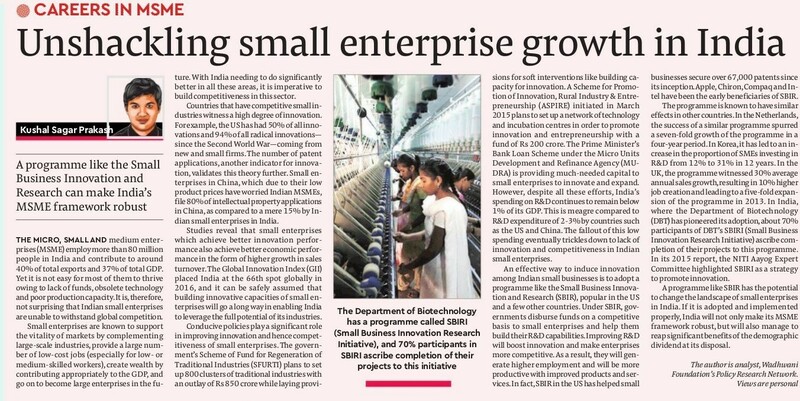 In India, where the Department of Biotechnology (DBT) has pioneered its adoption, about 70% participants of DBT’s SBIRI (Small Business Innovation Research Initiative) ascribe completion of their projects to this programme. In its 2015 report, the NITI Aayog Expert Committee highlighted SBIRI as a strategy to promote innovation. A programme like SBIR has the potential to change the landscape of small enterprises in India. If it is adopted and implemented properly, India will not only make its MSME framework robust, but will also manage to reap significant benefits of the demographic dividend at its disposal. The author, Kushal Sagar Prakash is analyst, Wadhwani Foundation’s Policy Research Network.